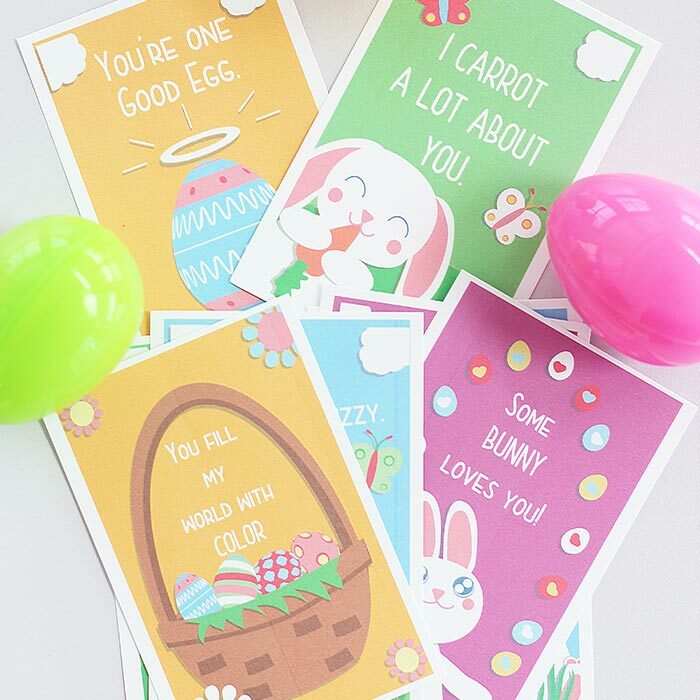 These adorable Easter notes are perfect for kids' lunch boxes, Easter baskets, and more! I can't believe that Easter is just a few weeks away. We're starting to feel a bit of spring sunshine (finally!) and I'm digging out our baskets and bunnies from the basement to brighten up the house. My boys are getting excited for Easter too. They can't wait to color eggs and play Easter Egg Bingo again (we had SO much fun with this last year). But of course before all the celebrations begin we have to get through a few more weeks of school. So to keep them in the spirit I'm surprising them with these adorable Easter notes in their lunch boxes. 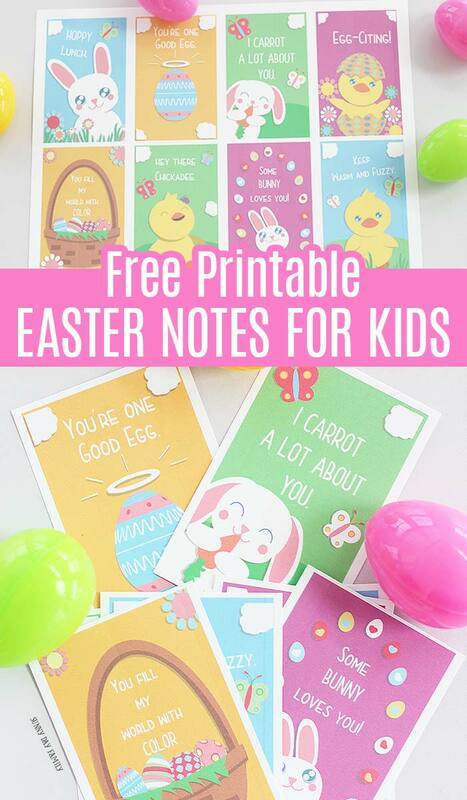 And I have them here as free printables for your kids too! I love lunch box notes. It's a tradition my mom started with me that I'm now doing with my boys. It makes them so happy to get a surprise note from me (or from our dog) in their lunch every day, and I always try to make sure they include some encouraging words. Check out our entire collection of lunch box notes here. 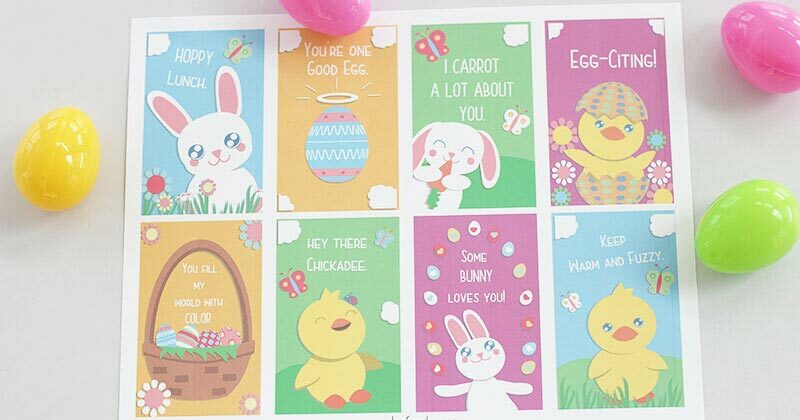 With Easter on the way, it's the perfect time to include some Easter notes in our collection. This adorable set is filled with everything we love about the season and is sure to make your kids happy too. 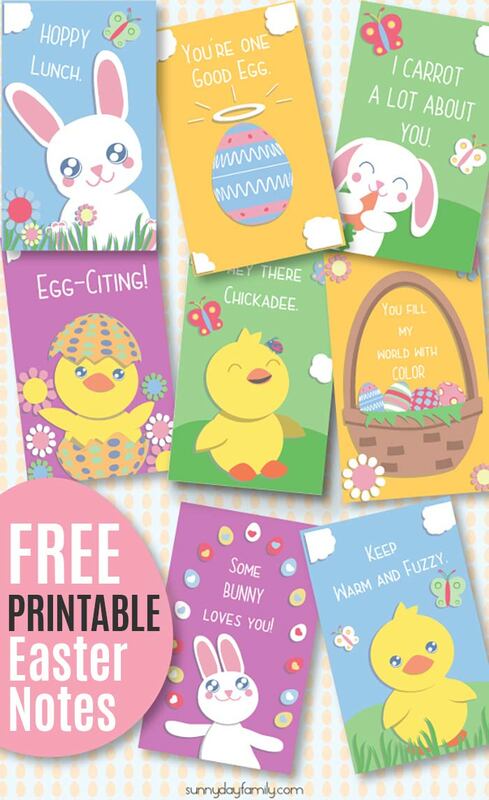 There are 8 unique designs in all, with everything from Easter eggs and baskets to bunnies and chicks. And each note has a loving message to make your child smile. You can use these for so much more than lunch boxes too! 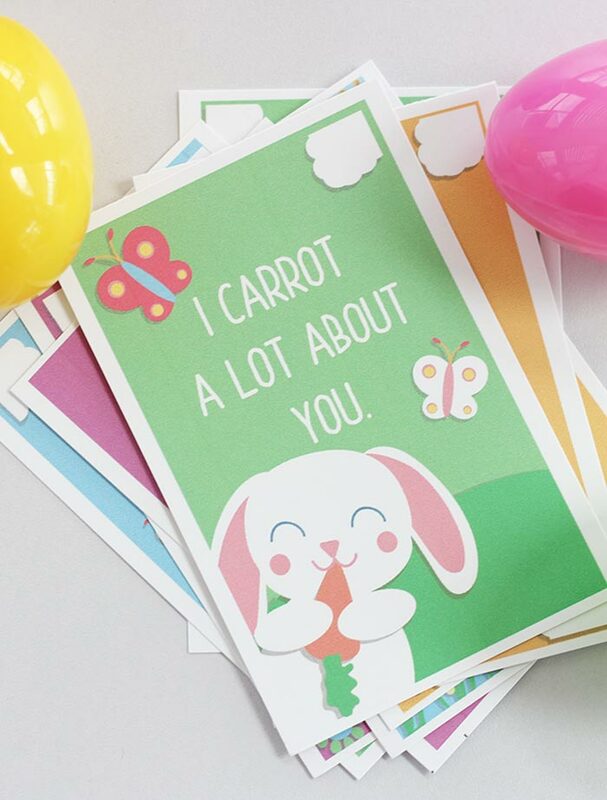 Include them in your child's Easter basket or encourage them to give them to their friends for a sweet holiday surprise. They are the perfect way to send a little love to anyone on your list this holiday. You can download the entire set for free by clicking the button below. 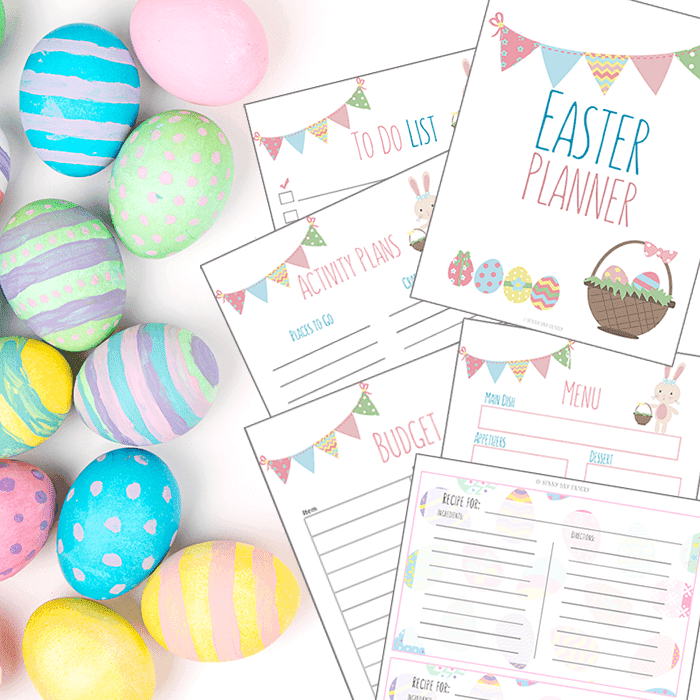 Whether you're planning Easter brunch or a neighborhood egg hunt, my printable Easter Planner will help you get organized for the perfect celebration! You'll find menu planners, to do lists, calendars, and more to make all your Easter festivities stress free and fun for everyone. Click here to see the Easter Planner and get yours!